I was sitting in the dining hall of Pine Summit Camps, when the topic arose of the board game. As we discussed various board games the questions came up as to what constitutes a board game. One person brought up that a board game should consist of a board. 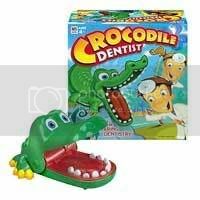 This would rule out games such as Chicken Limbo, Crocodile Dentist, and Mr. Bucket. However it seems that you could play the games on top of a board, but due to the fact that it does not in fact involve the board, it could not pass as a board game. Now having stated that, the question of whether Don't Wake Daddy or Mouse Trap would be allowed to join the ranks of games like Monopoly and Life. It seems that though most of the action takes place on top of the board, the board is an integral part of the game. 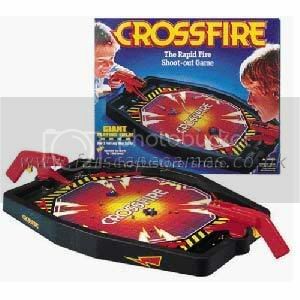 This then brought up Hungry Hungry Hippos and Crossfire. Where though there is a board involved, most of the action does not involve the board itself, as the board functions mainly as a means to contain the rest of the game. If you think about it in this light, then it seems more like a box and not really a board. 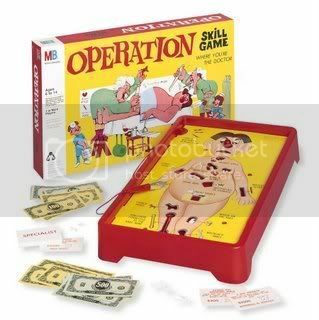 Which then brings to question the very game that caused the debate, Operation. You see Operation takes place on a board like object that seems more like a box. But despite it's box like appearance it seems as though it functions much like a board, where pieces rest on top. So what then would Operation be? On top of that, would Twister be considered a board game? If not due to the board like mat, what about the spinner board? And so the great debate of our generation continues.